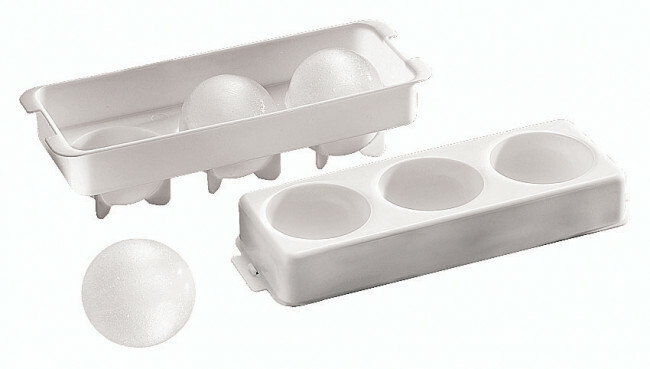 Polypropylene mould fit to prepare ice spheres with the following dimensions : D. 6 cm. Mould dimensions 23,5x8,5 cm. Height 6,5 cm.